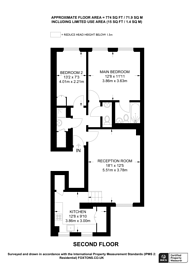 An amazing two bedroom second floor flat boasting a contemporary interior with spacious and airy rooms, high ceilings, stylish fittings and fixtures, en suite facilities and an impressive reception room. The property is in an attractive period house, close to a wealth of shops and amenities in Gloucester Road which cater for every need. The nearest underground station is Gloucester Road which is very close by.